Chapter 3 of my saga. Link travels around Hyrule sealing the 8 rifts to the dark realm as he hunts down General Ganon. This is a basic linear quest that focus on battling enemies. There lies 16 heart pieces. 9 Levels and one pretty big overworld Most of the enemies their appearance in my game, along with some new enemies such as stronger versions of old enemies. Please note that I have cheats in my game. Plus this quest can be hard. Use them if you like. (This is my final update on this quest.) I fixed alot of errors and bugs lately, including the Level 8 boss fight. 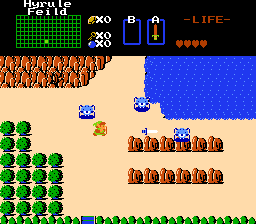 This zelda classic quest is using the 2.5 classic graphics. 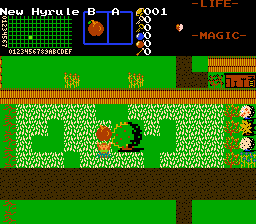 I made the gameplay very similar to Zelda 1. I wanted to take a break from my long quest to make this mini quest. I hope you enjoy and get a nice classic feel from it! Return to the days of the NES, with some new quirks! Legend of Zelda remake using Lord Cronic's winter tile sets. Warning this game has profanity in it however everything on this page is clean. Many secrets and optional content! Welcome to A New Dawn! After 2 years of development (and the occasional patch), we hope it was worth the wait. My Third quest, made long before i joined PureZC, is a remake of my second quest(that will never be released). 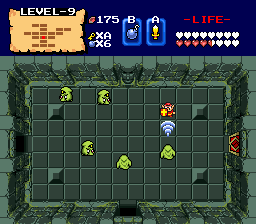 my second quest was basically the same as this, except that it used the classic tileset, rather than the NewBS tileset. Some people said Zelda: Allstars BS Edition was too easy. To those, i proudly present Zelda: Allstars BS Edition Extreme! this is the same, except with stronger enemies, less upgrades, only 6 heart containers instead of 24, and new music! This is a true challenge for the best players! My first (and lengthily titled) Zelda quest, Zelda: Ganon Just Doesn't Know When to Quit, Does He? The ZIP contains Easy, Normal and Hard versions. After twenty years of sleeping, Link wakes up and finds out that the Ganon and his secret evil companion have kidnapped the rest of humanity. To save his friends and the princess Zelda, Link is off for another journey around the Hyrule World. (Link's Retirement 2) The sequel to Link's Retirement. 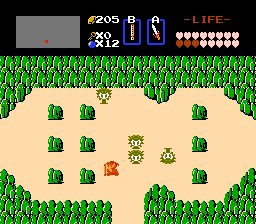 Zelda must recollect all of the trifrce pieces that she scattered before Link had planned to retire. UPDATE: There was a bug in level 9 where in getting the compass on the 3rd floor you got stuck. It has been fixed with this upodate.